Two hundred years ago, under orders from Governor Macquarie, Captain WBG Schaw, Captain James Wallis and Lieutenant Charles Dawe of the 46th Regiment led expeditions against ‘hostile natives’ in the Nepean, Hawkesbury and Grose valleys and the Liverpool district. 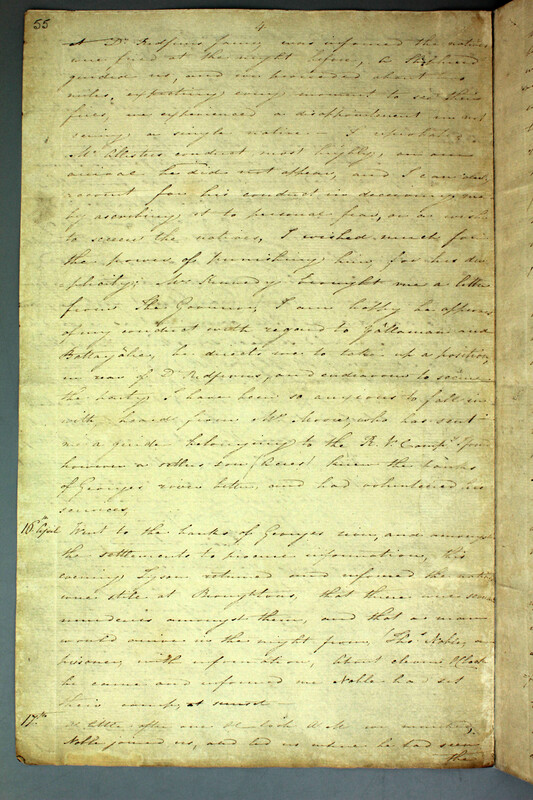 In our collection are the instructions from Governor Macquarie to Schaw, Wallis and Dawe regarding the punitive expedition, along with a copy of Captain Wallis’s journal which he kept during the expedition. 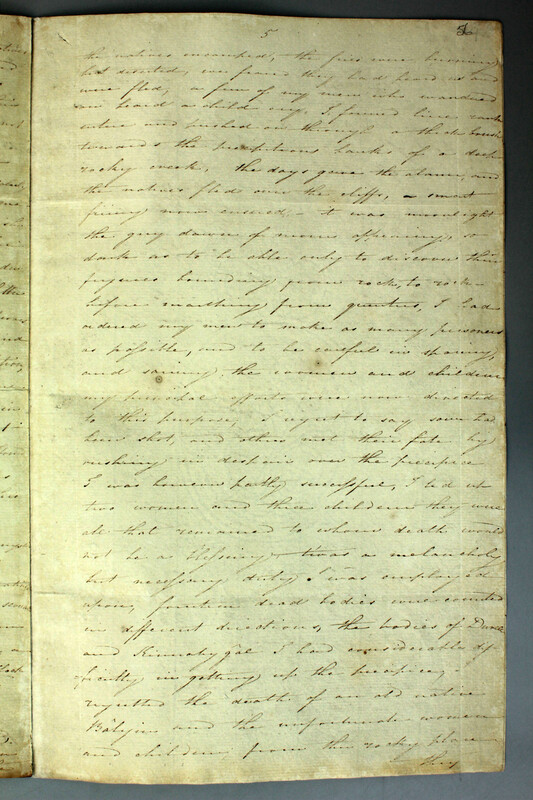 We also have a copy of the report by Governor Macquarie to the Secretary of State Lord Bathurst. You will also find entries under the heading Aborigines. 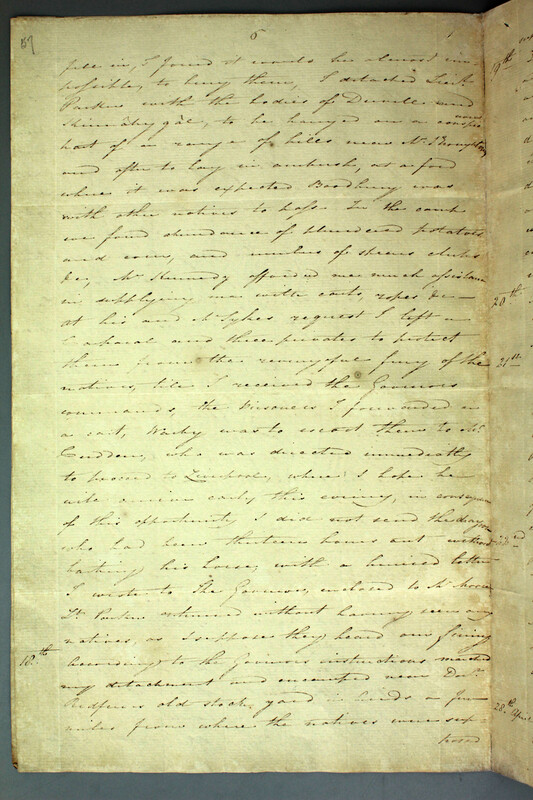 The attached digitised documents are from the diary of James Wallis [4/1735 pp55-57] and we have included a transcript below. the natives fled over the cliffs, a smart? natives, as I suppose they heard our firing. miles from where the natives were supposed to be.